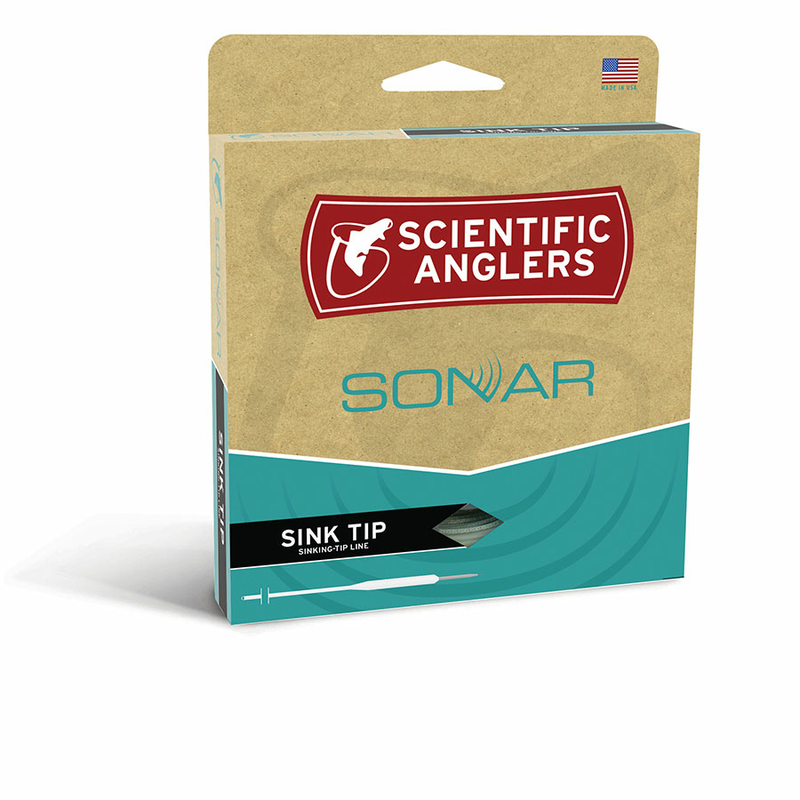 Scientific Anglers SONAR SINK TIP fly lines are for hot and temperate water applications and offer sink 3, sink 4, and sink 5 line options. SA SONAR SINK SINK TIP fly line Sales, Video and Guide Reviews. This SA fly line is a great choice for fishing buggers and streamers for trout and similar species including bass and pike. -General hot and temperate water fishing applications. Overall line length? 105 ft.
SONAR SINK TIP fly lines are clearly labeled with front and rear loops and a Braided Multifilament Core.